﻿ Praktik Rambla Barcelona. JIMAT di Agoda.com! Terletak di tengah-tengah deretan pokok Rambla Catalunya, hotel butik ini terletak di sebuah istana abad ke-19 yang menakjubkan. Ia memelihara ciri-ciri asli seperti tiang-tiang gaya-Barok dan lantai seramik yang berwarna-warni. Bilik-bilik bergaya di Praktik Rambla mempunyai reka bentuk minimalis dan dilengkapi dengan penyaman udara. Ia juga termasuk Wi-Fi percuma dan bilik mandi peribadi, dihiasi dengan jubin hijau yang menarik. Hotel ini menawarkan teres dengan sofa yang selesa di mana para tetamu boleh berehat. Dari bulan Jun hingga September, jus buah-buahan percuma disajikan di atas teres dari pukul 16:00-20:00 setiap hari. Stesen Metro Passeig de Gracia terletak 200 meter dari Pratik Rambla. Plaza Catalunya dan Las Ramblas yang terkenal di Barcelona adalah 5-minit berjalan kaki jauhnya. Hotel ini dikelilingi oleh pelbagai restoran, bar dan kedai. Untuk tempahan lebih dari 5 bilik atau 7 malam, suatu pra-bayaran bersamaan dengan penginapan malam pertama akan dikenakan caj semasa tempahan. Staff very courteous and helpful--BUT facilities aging and small. Better values are in the same area. It was lovely to stay at this hotel, the hotel location is good, central but no noisy. Staff were very helpful and warm. They also give recommendations for foods. Enjoyed sitting out on the back terrace. Everything was perfect. Thanks to Johanes! Conveniently located within walking distance to major sights. Plenty of good restaurants nearby for dinner. Staff is very friendly and hospitable. Nice decor, though room a bit small we had the TV right at our feet. it was really pleasant staying at pratik rambla, it is in a good neigbourhood and you have fantastic eateries within walking distance. for eg, cocoa sampaka is just 1 block away and rambla 31 is across the street. i wish they have a kettle in the room or have it at a common area. the terrace is beautiful and my child is fascinated with the 3 lemon trees. 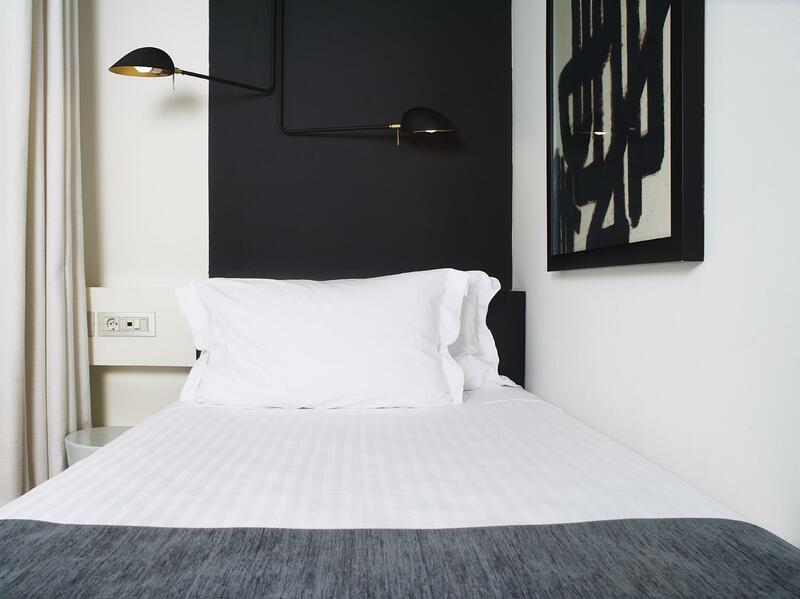 This hotel is situated right in the heart of tourist Barcelona, a very short walking distance from Placa Catalunya and the Ramblas as well as many good restaurants. (...) Service was first class and all the staff very helpful and friendly. (...) Free Wi-Fi was useful. Overall we were very impressed and will certainly return when next in Barcelona. Loved my stay here. I slept really well and it was a very central location. I also appreciated the taxi stand across the street. The concierge waited until 3am to greet me, because my flight was delayed despite the fact that I wasn't able to call to notify him about the 1hr 30min delay. Stellar service. Very helpful staff, there was a mix up with the reservation on our part but they fixed it quickly for us! Beautiful large back upper terrace to enjoy a peaceful croissant and coffee while checking our emails before the day starts. The location was good, the hotel is beautiful. The room is clean and comfortable. Really liked the lounge and the free coffee! The service was great especially by Andi (not sure if I got his name right). Enjoyed our stay. Excellent location for all Gaudi buildings and shopping. Staff very helpful booking a visit to Park Guell after it was cancelled. Room was a little cold - we were given a blanket. No way to warm the room. Balcony a great place for free croissants and coffee each morning. Highly recommend you stay here. Was made exceptional by the front desk combination of Abdullah, Johanes, Christina and Andy. 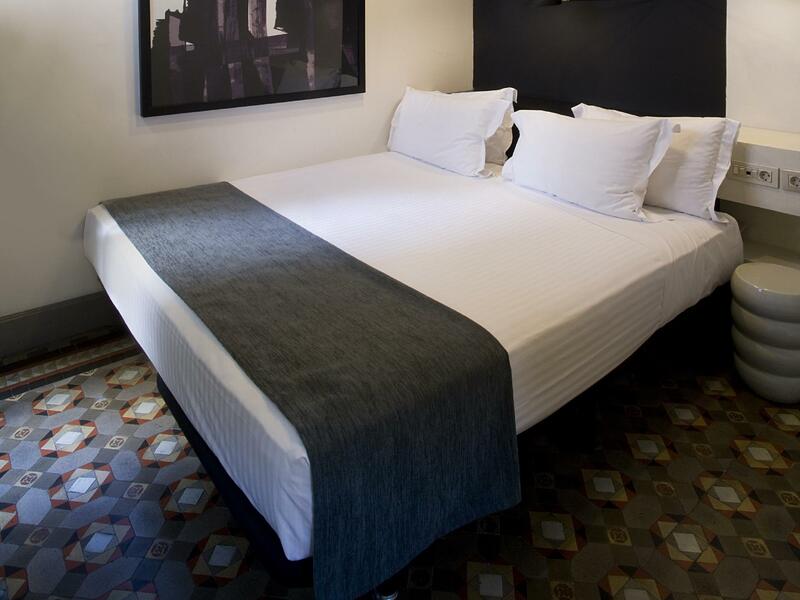 Hotel was conveniently located close to Plaza Catalunya and Prasseig De Gracia. Enjoy the upgrade to the rooms with the balcony overlooking the street below. Loved the Espresso machine also. Although I rated the food, we never had any food at the hotel. Our room was very small however we were only there to sleep so this was fine. We had a decent size bathroom with a big shower with rain shower which was great. I liked that they had tea and coffee that you could get and sit on the patio with. Staff were very helpful. I brought my youngest daughter therefore i was asking for an extra bed instead they rejected me and transferred to another hotel and charged me another 55 euro . I told them I just need a sleeping area because we will stay only for 1 night but they are not accomodating but charged me more. The architecture of the hotel was amazing. Staff where very helpful indeed. The hotel was in a super location, close to the metro and all amenities. Really enjoyed our stay, although hotel was on a very busy rd we could not hear any traffic at all from our room or in the patio, it was very peaceful. The room was small but very comfortable. The shower was great, rain fall shower, could have stayed there all day!! We also had a choice of different type pillows. This hotel is certainly very good value for the money we paid. Did I mention free illy coffee and fruit tea's 24 hours! Will definitely be back. Thank you Praktik Hotel. An enjoyable stay. The room was comfortable and he shower was awesome! The hotel was in an excellent location but was still quiet, enabling a quality night' sleep. Moreover, the staff were professional, helpful and courteous. With so many hotels to choose from it's hard to know what's what and where for a first time visit to Barcelona! I ended up with Praktik Rambla because it didn't look quite as plain and characterless as many others in it's category-and my instinct was right. Beautiful building- plain and pretty small rooms-but comfortable and simple/minimalist looking-but they are comfortable, showers good and the only thing I missed was a iPod docking station. I was on a Gaudi mission and a general tourist discovery trip-and could Not have asked for a better location! Walking distance (proper walking distance- meaning 5minutes and not 5miles walking...) from Placa de Catalunya- where the airport bus stops-Casa Battlo and Casa Mila literally 2 small blocks away-and plenty of resturants and bars only stone throws away in all directions. I walked at night by myself without any problems nor did I ever feel vounerable as a single blonde lady at any stage. The street where the hotel is located is a parallel street to the Luxury Brands street-so shopping is also great just around the corner, meaning also it's actually pretty quiet traffic wise outside the hotel. Noise levels minimal for a cosmopolitan and big buzzeling city. 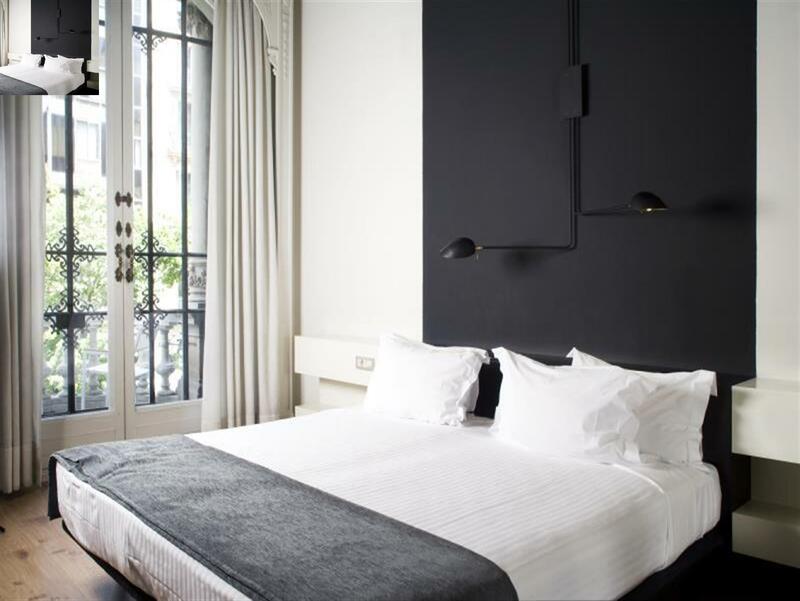 Praktik Rambla is your Perfekt location to explore Barcelona. Enjoy! Overall we were satisfied, nice location, decor and staff service; Room for improvement: Should have bottled water provided in room ready, and also will be perfect if there was boxed facial tissue. Biggest comment is: Bathroom design needs to modify- shower area is totally open and caused water literally flooding out to the whole bathroom.. My girlfriend slipped actually because of water over flooding- she got bruises (real painful and dark one) on her leg after the shower. Hope that the hotel can rethink and modify the design of this. The staffs performance was quite nice, they explain many things and very helpful. The price was quite fair, since the hotel located in the center of Barcelona city, very close walk to Catalunya where you could find a many kind of shop, souvenir, restaurant/bar/club, sightseeing tourist areas, etc. Character, location and friendly staff. 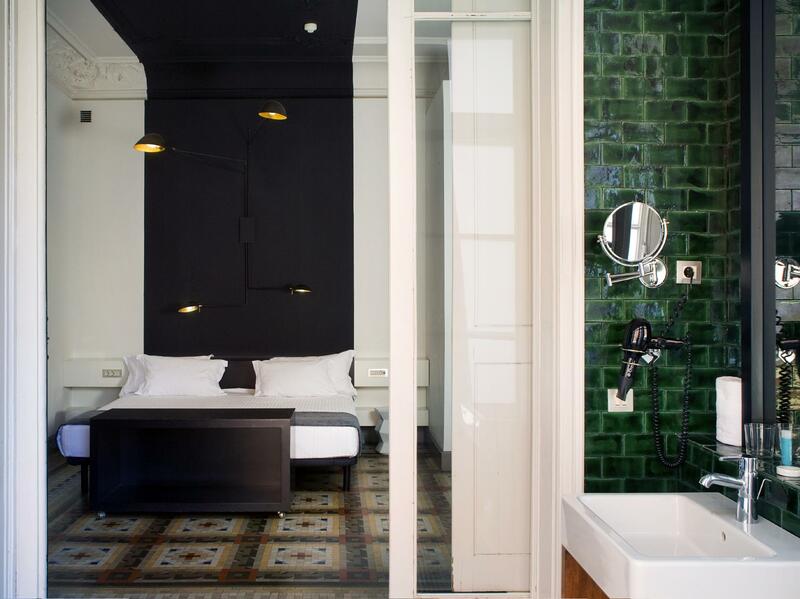 This is a wonderful hotel with character that is conveniently located in the heart of Barcelona. The rooms are very comfortable with a beautiful bathroom. I loved the overhead rain shower. The staff was very friendly and helpful. Be sure to check out the comfortable lounge and the cool patio. It was a nice relaxing place to plan out our day in Barcelona.